Machine, implement, or equipment sheds were constructed to house various pieces of mechanical equipment, such as trucks, tractors, bailers, combines and their numerous attachments used for farm operations. Particularly after the introduction of gasoline (and later diesel) powered equipment, farm economists and advisors argued that proper storage added considerably to the lifetime of farm machinery. Positioned in the farm compound to provide for ease of access to both the other buildings and the fields, machine sheds usually consist of several bays or separate spaces for each piece of equipment, and are often open along one side for ease of drive-in access. 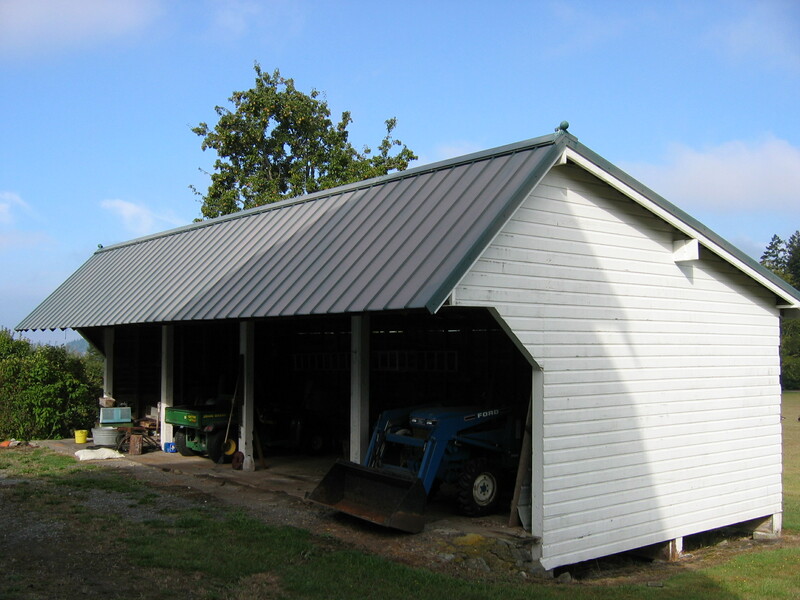 Most are narrow (20-36’ wide), long (40-100’), single story structures with gable or shed roofs, and enclosed on three sides, although portions of the overall structure may be totally enclosed for workshops or storage.